Action will be taken against Ryanair if the company's handling of compensation claims over their recent flights cancellation is not deemed to be satisfactory, the Aviation Regulation Commissioner Cathy Mannion has said. Ms Mannion was speaking at the Oireachtas Committee on Transport, Tourism and Sport. Last month, Ryanair was forced into the cancellations after miscalculating pilot leave, possibly affecting over 400,000 passengers. Ms Mannion urged passengers who are not satisfied with the response to their claim from Ryanair to make contact with the Commission for Aviation Regulation. "Where passengers are not satisfied with a response to their claim, we will investigate it," she said. "We are in the process of hiring additional resources to deal with any increased volume of complaints." She defended her decision not to commence enforcement action against Ryanair to date, saying that every time Ryanair was asked for information, it was supplied by the company. 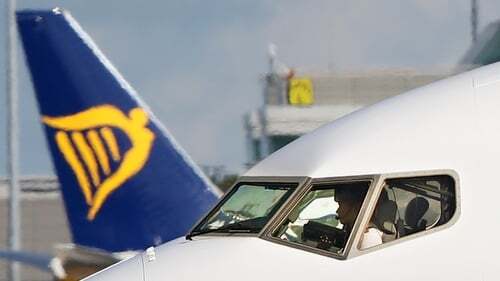 Yesterday, the European Commission said that it had contacted Ryanair regarding the recent cancellation of flights and said it expects the airline to fully comply with EU obligations. Europe's Transport Commissioner told the European Parliament that the company needs to give passengers correct information regarding their rights, particularly in relation to re-routing and compensation. Earlier, Ryanair boss Michael O'Leary was accused of insulting the Transport Committee by failing to attend a meeting over the cancellation controversy. Mr O'Leary was invited to discuss the impact of the cancelled flights on passengers. However, committee chairman Fergus O'Dowd TD told members that Mr O'Leary had declined the invitation. "He said he totally regretted the disruption caused. "It is disappointing he is unable to attend this meeting. I hope he will be able to accept the invitation at some point in the near future," said Mr O'Dowd. Mick Barry TD responded: "It should be noted the committee invited Ryanair and Michael O'Leary. It is an insult they haven't come." The airline has cancelled tens of thousands of flights through to March this year because of errors in how pilots are rostered for work. This has disrupted the travel plans of 700,000 passengers. Ryanair announced its first wave of 2,100 cancellations in the middle of September, after it rearranged pilots' rosters to comply with new aviation rules requiring a change in how their flying hours are logged. Towards the end of September it announced 18,000 further flights would be cancelled over the winter season. Ryanair has also clashed with its pilots over their working conditions. Maurice O'Connor of the Irish Aviation Authority told the committee that the cancellation of flights was a "completely commercial decision at the discretion of Ryanair". "It was done with very limited knowledge to any agency. It was spur of the moment," Mr O'Connor added. Ms Mannion, commissioner for the Commission for Aviation Regulation, added that the body first became aware of the cancellations through social media. She said "no clear" information was provided to customers about their rights. The airline came under fire for the length of time it took to provide proper information to passengers about cancelled flights and their consumer rights. Ms Mannion said the airline had been too focused on internal problems and "took their eye off the ball on passenger rights". She also said that the budget airline probably knew about the cancellations a week in advance and should have advised the commission. "There's no legal obligation for Ryanair to tell us in advance but it is definitely in their advantage," she said. "It would have stopped confusion and given passengers the correct message."